This is the step by step guide to installing GTA 5 Redux. Ensure you follow ALL the steps in order to prevent issues. It is recommended you have a fresh copy of GTA 5 vanilla installed with no other mods present. Also check the requirements to make sure you can run the mod. Ensure you follow ALL the steps in order to prevent issues. 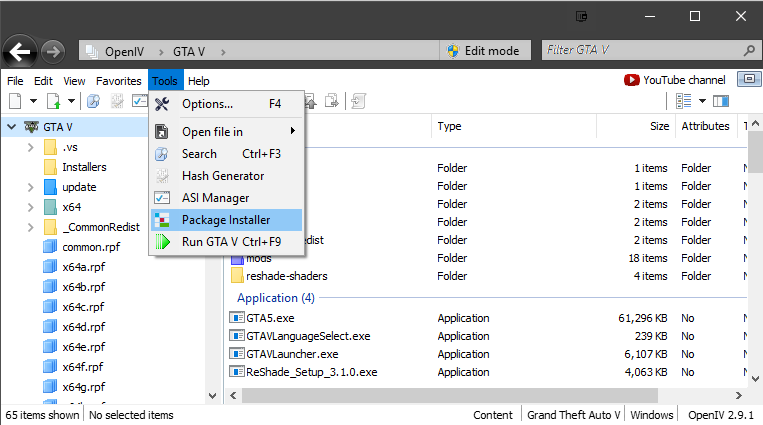 Open IV is the modding tool that is used to install GTA 5 Redux. Download the latest version of OpenIV. Once OpenIV is downloaded run the installer. 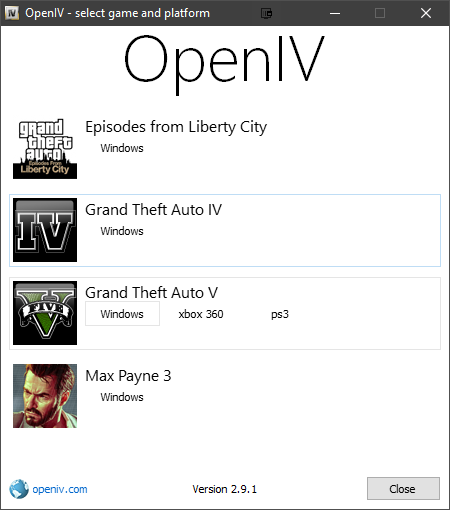 Click on the OpenIV icon, selecting Grand Theft Auto V Windows. Select your GTA V install folder. Continue to the end of the wizard. Install ASI Loader and OpenIV.ASI. Script Hook V is the library that allows us to use GTA V script native functions in custom *.asi plugins and is required to run GTA 5 Redux. Download the latest version of ScriptHookV. Open the ZIP files and copy the files ScriptHookV.dll, and dinput8.dll from the bin folder, into the main GTA 5 folder. 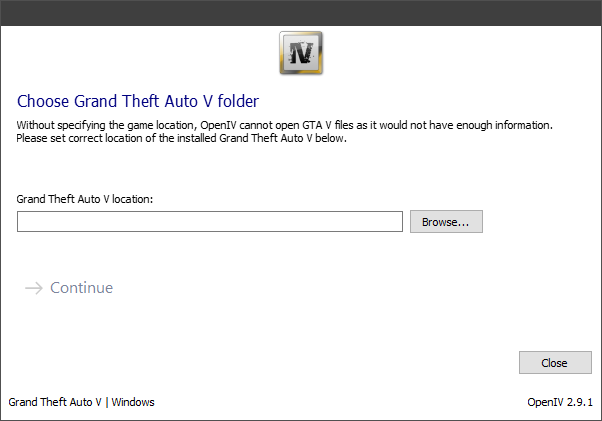 Before starting the next step, make sure you have 100% clean, un-modded install of GTA V.
Tip: You can verify the game files by using Steam verify or GTA V Launcher verify. Download the latest version of GTA 5 Redux from the downloads section. Once downloaded fully extract the zip archive. 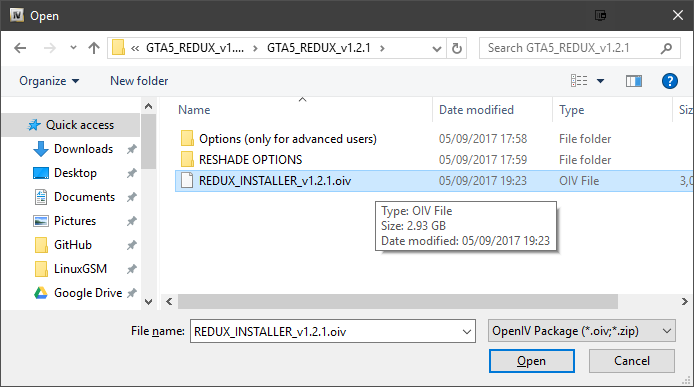 Run OpenIV selecting tools>Package Installer and locate the GTA_5_REDUX_V1.X.oiv file from the extracted GTA5 Redux download. Open the .oiv file to begin the installation. Click install and choose the option to install the mod inside the created mods folder. The installer will now run and will take a while as it is copying all the files required to run the mod from the main GTA V folder. 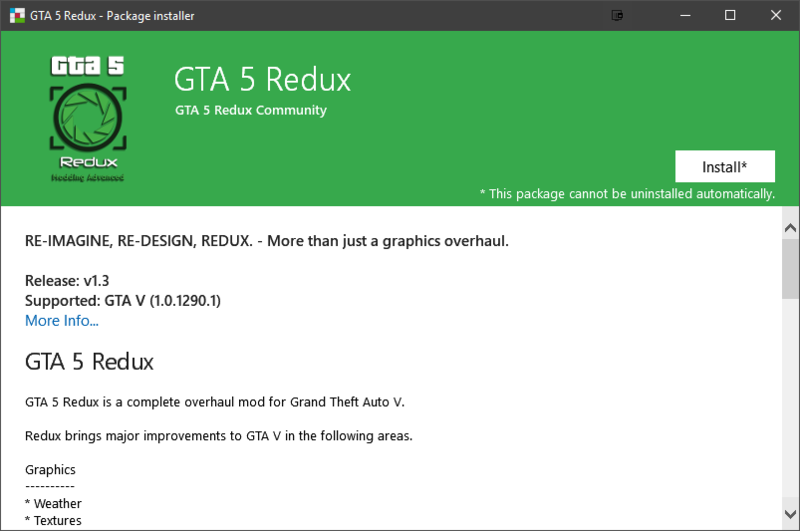 Once the installer is complete you can select the option to run GTA 5 Redux to test that it works. If the mod is working you will see the GTA 5 Redux intro video when loading GTA V.
ReShade provides various filters to give GTA 5 Redux a different look. There are many filters available which you can select. You can see the filter variants on the filters page. Note that for a small percentage of users ReShade can cause crashes and make GTA 5 unplayable. However It is possible to play GTA 5 Redux without ReShade. Download ReShade from the official ReShade website and run the installer. Select to download the standard effects. Leave all effect files ticked and click OK. Copy GTA5 Redux filters from the GTA_5_REDUX_RESHADE folder to the main GTA 5 folder. 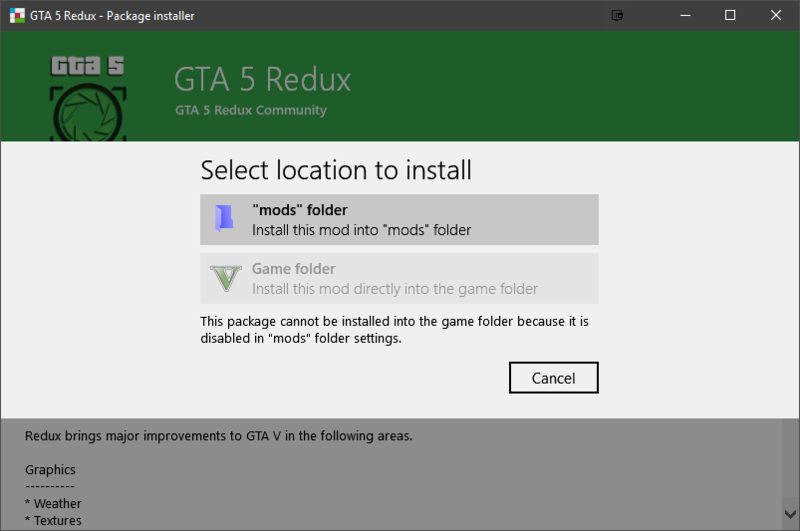 If you want to remove GTA 5 Redux simply delete the mods folder in your GTA 5 folder. Note: if you have any other mods installed they will also be removed.